11 days from £2268pp plus international flights. 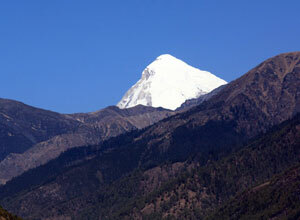 The Druk Path is a 5 day route from Paro to Thimphu, across the mountains that separate the two valleys. You'll be trekking in awe-inspiring views and majestic scenery. 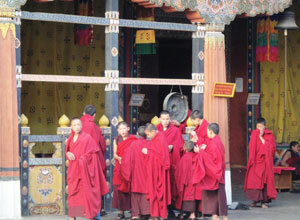 This itinerary also takes in the main cultural areas in Paro, Thimphu and Punakha, too, for sightseeing. The trek forms the core of this itinerary, but we've added some extras that we think are must-sees while you're in Bhutan, such as the famous Tigers Nest monastery just outside Paro and several formidable dzongs, a type of fortified monastery. You'll also get to see the eclectic collections at the National Museum and observe students honing their skills in traditional painting at the institute in Thimphu. 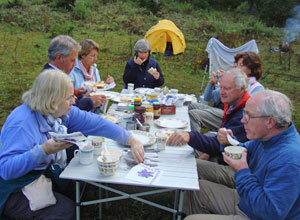 The trek itself is not strenuous, but does include sections of both ascent and descent. The trails are easy to follow and pass through alpine forest and rhododendron fields up to trout-filled lakes and mountain ridges. You may come across traditional yak herders as you walk through these remote areas. The trekking time is about 4 hours each day, so there will be plenty of time to stop and admire the views, You will be camping in private sites, all meals are included and you have the services of porters, a cook and an English-speaking guide. The main luggage and camp equipment is carried by mules, so you need carry only your day pack. The trek can be undertaken at any time of year, but we especially recommend the months March to June and September to November, when the weather is generally clear giving great views of the mountains. 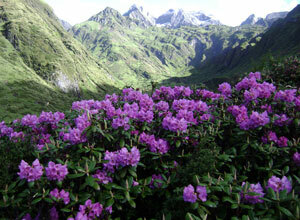 If you want to see the rhododendrons in bloom, May is the best month to travel. This morning, you start the 5 hour walk along a forest trail to Tigers Nest monastery, famously perched on the side of a cliff 900m above the valley floor. Price notes: 2019 pricing based on 2 sharing excluding flights: Jan - Feb, Jun - Aug, Dec 2019 from £2268. Jan - Feb, Jun - Aug, Dec 2019 from £2618. This itinerary starts and ends in Paro. 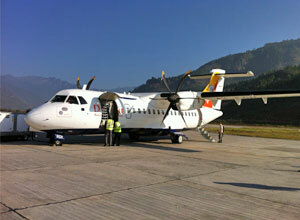 Return flights to Paro from the UK operate via India or Nepal and take between 10 and 15 hours. They cost around £1,150 per person. Departure dates: This is a tailor-made holiday and can be taken at any time of year, though the recommended months for this trek are March to June and September to November. 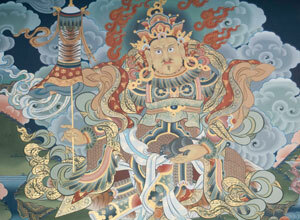 Paro’s ”˜must see’ is Tiger’s Nest, monastery buildings that appear to cling precariously to the mountainside. 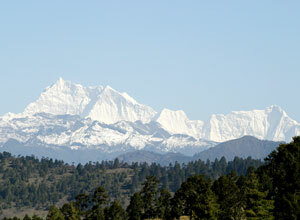 The trek is an energetic one, but the views are well worth the effort. The mighty dzong at Punakha is among the finest in the country, a complex of corridors and courtyards with examples of accomplished carving and craftsmanship. 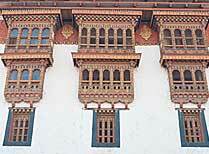 Bhutan’s capital has a lovely central square, an impressive 17th century fortress and an arts and crafts centre. Buddha Point, named after the giant statue, offers great views of the valley. 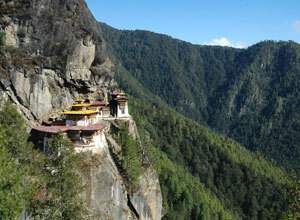 Start planning your tailor-made holiday to Bhutan. Tell us what you want, and we will tailor make your perfect trip.  Flight time: National carrier Druk Air flies from several locations but commonly you'll connect from Delhi (2hrs), Koltata or Kathmandu (both just over an hour). You will need to come via one of these destinations which in turn are about 12 to 15 hours from the UK depending on the routing. 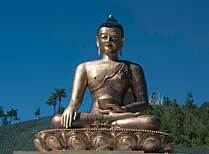  Language: Dzongkha is Bhutan's national language. English is widely spoken and is used in all schools.  Visas: Visas are required and are issued from Bhutan. 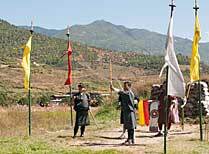 Tribes will arrange your visa for you through our partners in Bhutan.